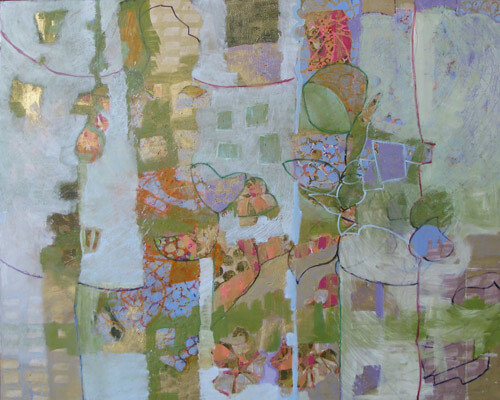 I love to paint layers of textures upon textures until they result in fanciful and bold images. Some of my paintings take up to a year to complete until I achieve the desired effect. This technique reflects my fascination with the textures, layers, colors and surprises in our lives. " 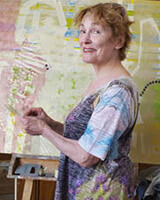 Chris Averill-Green has been exhibiting her artwork in galleries and museums in upstate New York for over 40 years. She received her B.A. in Art from Russell Sage College in Troy N.Y.and her M.S. in Art Education from the College of St. Rose in Albany, N.Y. 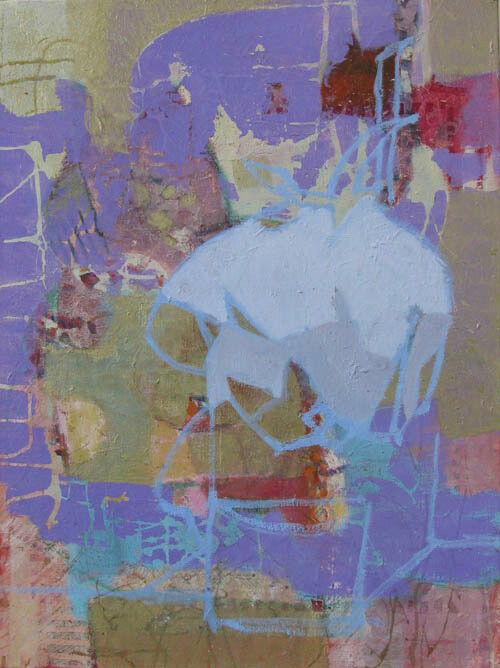 Recently she received the 2010 Purchase Prize at the Cooperstown National Juried Exhibition. She has studied with notable artists such as Stanley Bielen, Catherine Kehoe, Michael Oatman, Barbara Mungall, Bill Wilson and Langdon Quinn. 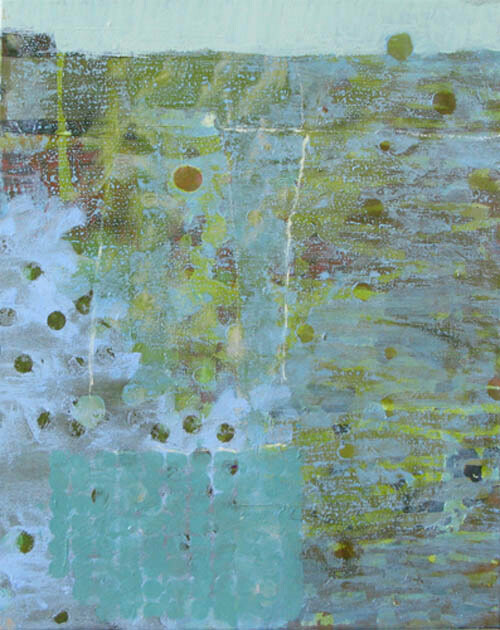 Her stylistic range varies from impressionistic to abstract images. In all of her paintings she abides by the words of Monet: "When you go out to paint, try to forget what objects you have before you merely think here is a little blue square of blue, here an oblong of pink, here a streak of yellow, and paint it just as it looks to you." Chris' work is in galleries and private collections throughout the east coast and California. 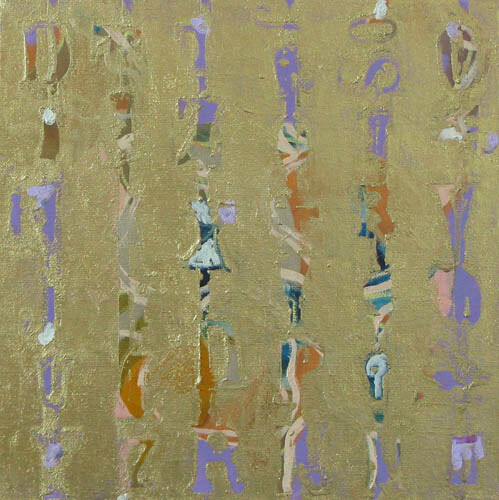 A good deal of her work is influenced by medieval frescoes (metallics) and Asian art (simplicity).